Angry Birds originated as a video game where players use slingshots to toss birds at pigs to gain points. Angry Birds has been enjoyed by millions because of it's comical nature and fun gameplay. 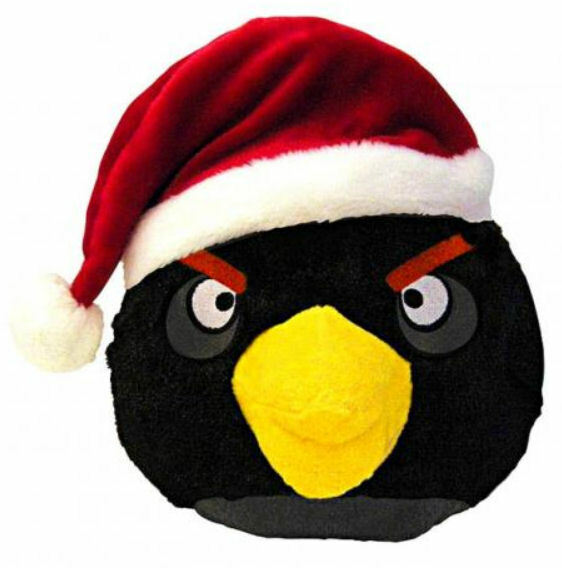 Its popularity led to multiple version of Angry Birds being created for gaming consoles, personal computers, and now plush toys! This 5" Christmas Angry Bird plush toy brings the character you love onscreen into your arms. Official Licensed Product! For all ages (Remove all tags before giving to a child).